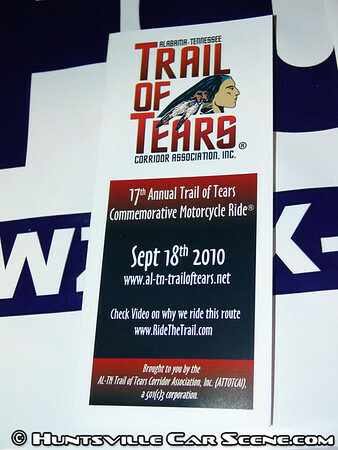 This is one of the largest organized rides in history. And the main rest stop is right in our back yard. It's so large that traffic patterns are affect by road closures and the line of bikes spans as long as 50 miles. From Huntsville AL travel US Hwy 72 to Stevenson AL exit onto State Hwy 277 and go north 6 miles to Bridgeport and follow the signs to line up on Alabama Ave. in downtown. From Interstate 24 take exit 152 onto Hwy 72 west to first exit past Alabama state line state Hwy 277 and go south 2 miles to Bridgeport and follow signs to line up on Alabama Ave. downtown. 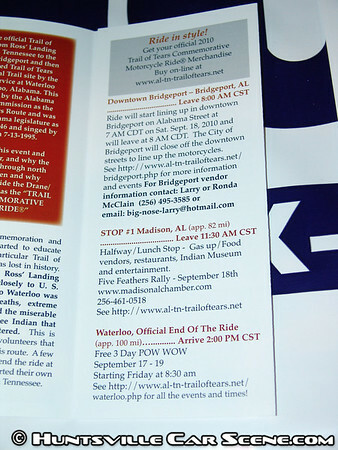 Ride will start lining up in downtown Bridgeport on Alabama Street at 7am cst and will leave by 8am cst. The City of Bridgeport will close off the downtown streets to line up the motorcycles. Vendors contact the Waterloo Town Hall at (256) 764-3237.